Cochin, the old town, Fort Cochin, Bolgatty Palace and Vypeen provide the best preserved Dutch heritage in India. Here old Dutch remains are being integrated in Cochin by making them part of life in this Kerala harbour town. Municipalities, INTACH and private Indians have teamed up to turn then into commercial viable operations for tourism and cultural development. Three old Dutch houses formed the basis of David Hall that is now a cafe art house. Bolgatty Palace turned into a hotel, so did a few other old colonial buildings in old Cochin. A new promenade has many visitors strolling past the revamped Dutch bastion. From one of the hotels one can do a Duct heritage walk that has been developed by Bauke van der Pol. There are other Dutch remains that are worth exploring, including on Vypeen. On 21 April 2017 31 students and 4 teachers of the Mrinalini Datta Mahavidyapith college in Birati Kolkata visited Chinsura for one day educational visit. This has been made possible by my idea and motivation, and the cooperation rendered by the India Netherlands Friendship Society. Mr. Ganesh Nandy has constantly remained in touch to welcome the students of our college. The students saw five Dutch related historical places such as the Dutch cemetery, Dutch artillery building, pillar, Mandal’s House. Students have also administered questionnaires with some local people. They have prepared a project report about how Chinsura’s people thought about the contribution of Dutch and its restoration. Yesterday afternoon I had a nice session with Erik Roskam about maintenance of the Dutch-Indian shared heritage (DISH) website. Erik gave the push for the start of the DISH platform in the Netherlands in 2014. He had approached me through my VOC in India web page that I have since 1997 asking help to find archive material on one of his ancestors who was buried in Chinsurah. I could only help him by linking him with the India Netherlands Friendship Society there. Since then Erik took his family twice to Chinsurah and did more research. Here is a Trip Wow series of pictures from my trip to Manikganj in January 2013 with my good friend Najma Haque. From the 300 films in the 25th International Documentary Film festival i Amsterdam I have selected to watch six films in the first days of the festival. For the first tim since retiring I could select films during daytime, and I thoroughly enjoyed that. It was also nice that for most of them I saw the premiere that came with a Question and Answer session with directors and sometimes lead actors. Most impressive for me? Are you listening, a film on a family struggling to survive after their village was washed away by a cyclone in coast Bangladesh. I am very grateful to my good friend and colleague Sahana Singh, Editor of Asian Water for pointing me though Facebook to the Be Inspired Innovations in Infrastructure conference in Amsterdam. Bentley System, world leader in engineering software for information modelling through integrated projects for intelligent infrastructure organised it. I joined the Media day on 12 November and listened to four finalists presenting their projects and innovations in Water and Wastewater Treatment Plants on 13 November 2012. I had a fabulous evening in the Amsterdam jazz and improvisation temple the Bimhuis www.bimhuis.nl with my favourite Boi Akih group. 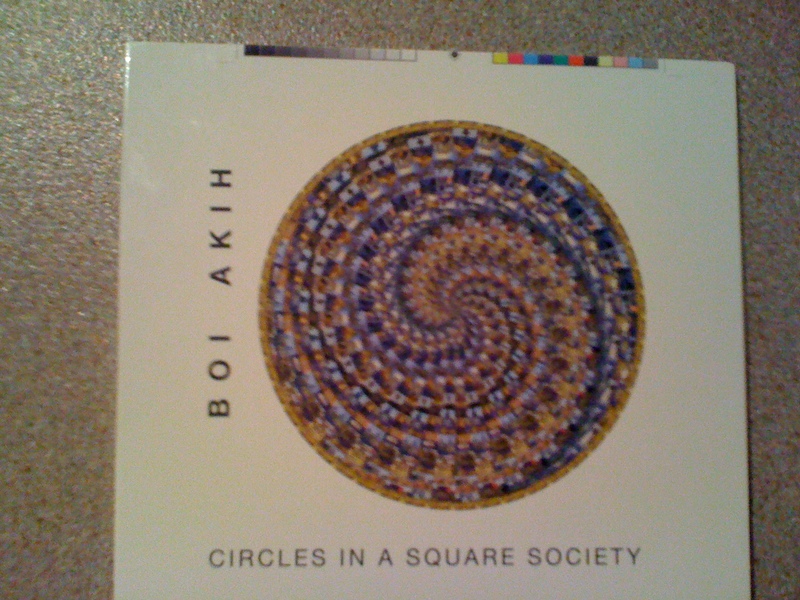 They launched their new CD: Circles in a square society, and it is a must-have one. 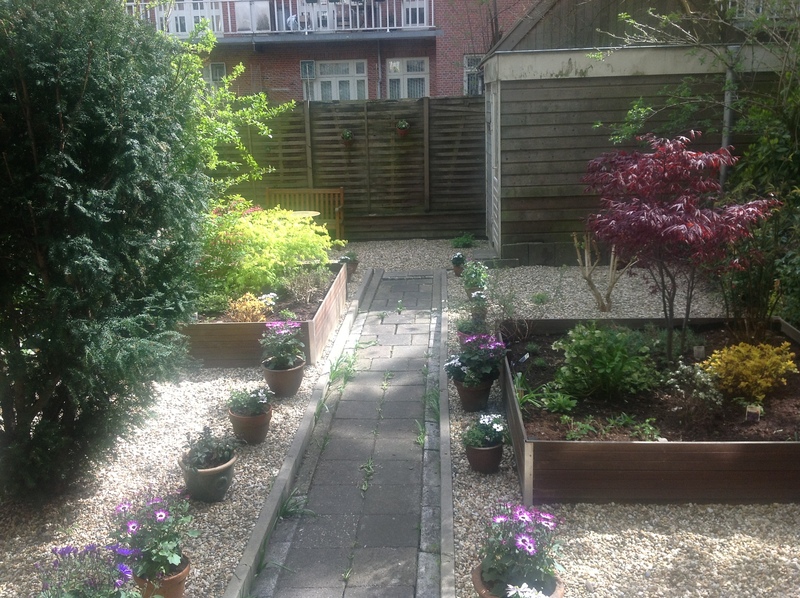 I em enjoying my garden at the back of my Amsterdam home tremendously. With 15 degrees and a little sun I can already have breakfast with my morning newspaper in it at 09:30 very morning. If it gets 2o degrees I need my parasol. This garden was designed and implemented by my good friend Ton Hozemans who is a great gardener in Delft. Do you want want to monitor what are hot issues on social media? RTreporter is a handy data tool doing that. It was developed by a Dutch fund for promoting journalism in The Netherlands. The Dutch Nu.nl site already makes use of this tool. The tool signals trends on Twitter. Different packages can be ordered that send notifications on high volume use of one ore more keywords.